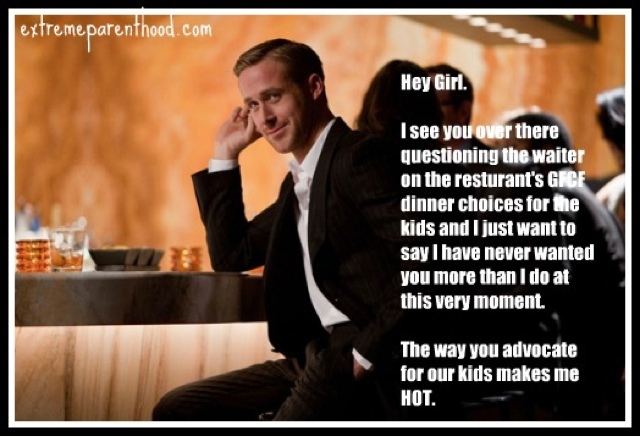 If you've been on Facebook or Pinterest lately, you may have seen the Ryan Gosling "Hey Girl..." photos. Basically, it's a easy-on-the-eyes photo of Gosling with a caption that women would sometimes give up their favorite straightening iron to hear. I saw these photos specifically made for moms with children with ASD, SPD, or similar disorders and I seriously laughed out loud. Like, for several minutes laughed! I really hope you enjoy them as much and please share!